Shine Spray is formulated with the lightest shine enhancing ingredients available. Durable lightweight polymers will not weigh hair down. 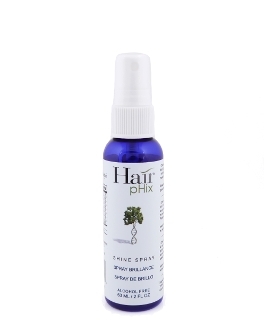 Natural fatty acids increase hair's overall flexibility and strength. Made with avocado oil !